Too many distractions for your horse? 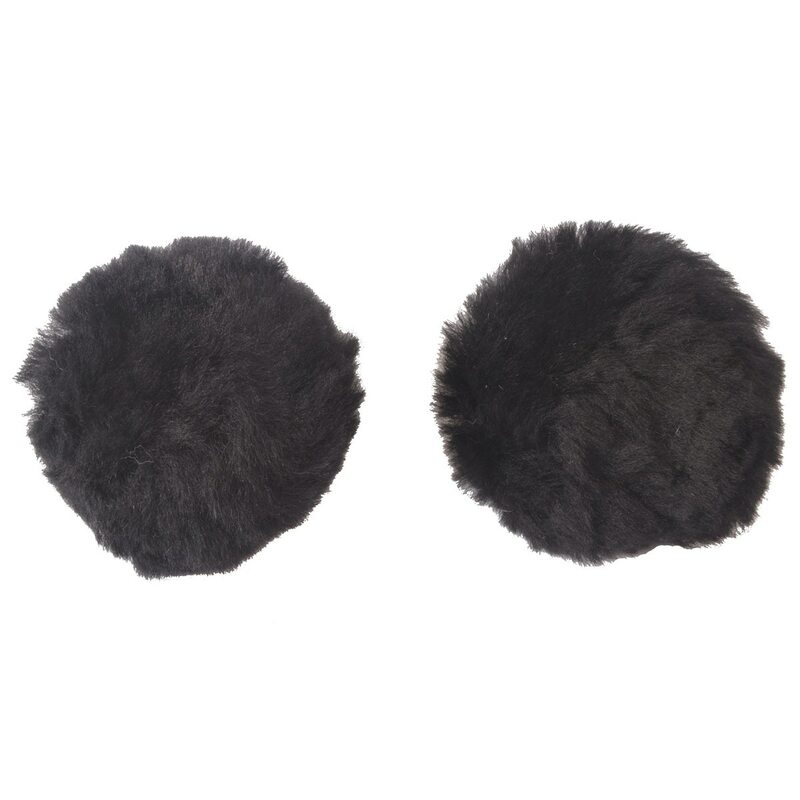 Help him tune out noise with these 100% Merino Sheepskin Ear Puffs. These Ear Puffs are super soft! Black and Brown. Ear Puffs is rated 4.3 out of 5 by 52. Rated 5 out of 5 by Caroline from I don't always need these but when I do, better have a few extra! My mare manages to get them to fall out so I always have a couple of extra ones on hand. They work well. Rated 5 out of 5 by Heidi0 from Easy to use The ear puffs are easy to use and my horses did not shake their heads of mess once the ear puffs were in, ease to remove and wash. Rated 5 out of 5 by Marina from World of a difference I have a four year old OTTB who is not overly spooky, but has a hard time focusing. These soft and good fitting ear puffs make a world of a difference for him. He is more focused and pays attention to me, instead of everything and anything else. I use them everyday, have washed them and they hold up great. They blend in with his ears (unclipped) and you cannot tell he is even wearing them. They also give me peace of mind when something like an airplane flys by, that the loud noise will not make him nervous (even though, lets be realistic, I am the nervous one). I also still lunge with these in occasionally and he can still hear my requests, and I still think he can hear by “goodboy” when under saddle. Rated 5 out of 5 by Diamondsranch from Ear Puffs This helps take the edge off of my geldings "bionic" ears... thank you. they stay in nicely. Rated 5 out of 5 by Z123 from Love these! Soft, comfortable, muffle the sounds and as a bonus keep the bugs out of ears for horse who are sensitive. Rated 4 out of 5 by Caela from Does the job I've been using these for a few weeks now with my ottb. We have a snow sliding off arena roof problem in the winter and these help block out some of the noise and make the reactions not as bad but he can still hear voice cues from me. I like these compared to the dense foam because they're soft on his ears. I ordered two pairs and within each pair, the two puffs weren't the same size, one being too large to fit right and he managed to shake it out, but the smaller matched up with the smaller of the two in the second package and it worked out. Rated 5 out of 5 by Beauregard from did the trick! Delighted with the effectiveness of the ear puffs. Beauregard made his first appearance on the reenactment battlefield this weekend. With 200 guns and 4 cannon firing, the puffs muffled the harsh noises well. Between his training and the puffs, his first event was a huge success! Rated 5 out of 5 by Eryn from Good product I got these to replace some POMs that I use on one of my horses that seems to have shallow ears. These ear puffs don't stick out as much and aren't as noticeable. Rated 5 out of 5 by Grace2010 from perfect ear puffs Soft, well made and just the right size, these ear puffs are perfect.